Enjoy magnificent sunsets and watersports, family entertainment, Thai cultural shows and striking views from a lookout at this sweeping beach resort. The attractive resort of Jomtien Beach curves around a tree-shaded bay on the shores of the Bay of Bangkok. Relax on golden sand and admire dramatic sunsets. Try watersports and enjoy family-friendly fun at a waterpark. Dine in waterfront restaurants and watch a fascinating Thai cultural performance. Jomtien Beach is a 3.7-mile (6-kilometer) long stretch of beach that offers a quieter alternative to the bustling Pattaya Beach. The crescent-shaped beach presents a thin strip of golden sand framed by swaying palm trees. Find sun loungers and umbrellas to rent almost the entire length of the beach. Otherwise, look for a quiet spot to lay down a towel and gaze out across the bay. Sample plates of fresh seafood at the waterfront restaurants or purchase succulent fruits and snacks from the beach hawkers. Arrive in the evening to watch picture-perfect sunsets. Those feeling energetic might want to try their hand at watersports such as Jet Skiing, windsurfing and parasailing. Situated at various points on the beach are schools, which offer windsurfing classes with trained instructors. Away from the beach, the waterslides and whirlpool at Pattaya Park Water World are great for an afternoon of family amusement. Alternatively, take a taxi or songthaew (shared taxi) to Khao Pattaya View Point at Pratmnak Hill. 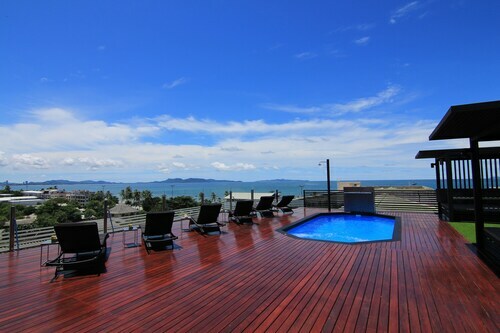 Look south over the beach or north to the vibrant Pattaya Beach and Pattaya Beach Road. While here, check out the Wat Khao Phra Bat, a temple said to enshrine a relic of Lord Buddha. Don’t miss the chance to watch a traditional cultural show at the Thai Alangkarn Theater. Marvel at the demonstrations of Thai dance and martial arts accompanied by sound, light and pyrotechnic shows. There’s also a range of cabaret bars, pubs and restaurants set along the beach road. Prices tend to be lower than at Pattaya Beach. Situated a short drive south from Pattaya Beach Road, Jomtien Beach is easily reachable via public transportation. Public buses, songthaews and taxis are all readily available. Consistently balmy temperatures make Jomtien Beach a busy year-round resort. Expect heavy downpours and thunderstorms in September and October. Treat yourself to a massage or sip from a fresh coconut in the shade. If it’s a relaxation you’re looking for, you’ll find no mellower place in Pattaya. Nestled on the beach, this Na Kluea hotel is within 1 mi (2 km) of Jomtien Night Market and Jomtien Beach. Pattaya Floating Market and Dongtan Beach are also within 3 mi (5 km). 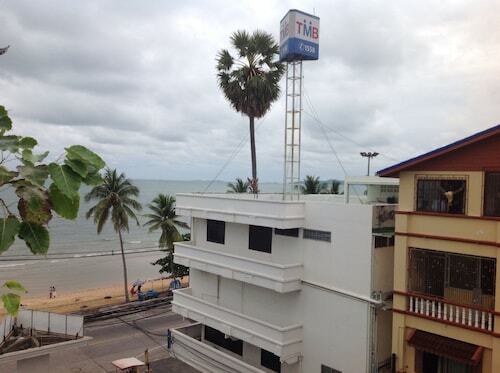 Located in Na Kluea, this hotel is within 1 mi (2 km) of Jomtien Night Market and Jomtien Beach. Pattaya Floating Market and Dongtan Beach are also within 3 mi (5 km). 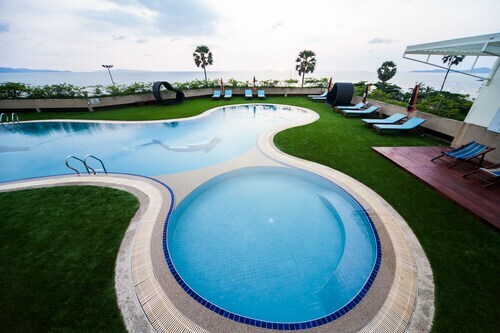 Located in Na Kluea, this resort is within 1 mi (2 km) of Jomtien Night Market, Jomtien Beach, and Dongtan Beach. Pattaya Floating Market and Underwater World Pattaya are also within 3 mi (5 km). 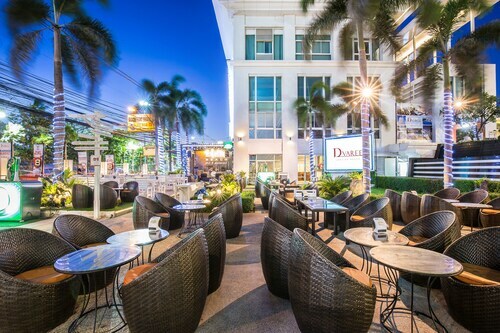 Offering direct access to the beach, this Na Kluea hotel is within 1 mi (2 km) of Jomtien Night Market and Jomtien Beach. Pattaya Floating Market and Dongtan Beach are also within 3 mi (5 km). 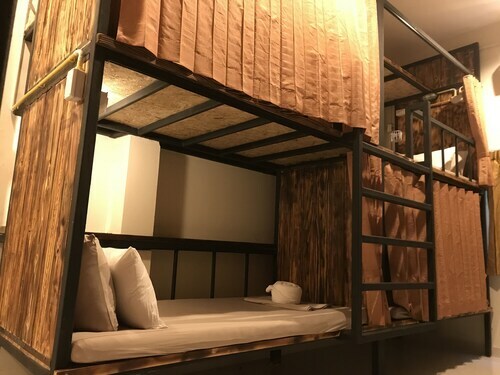 Located in Na Kluea, this hostel is within 1 mi (2 km) of Jomtien Night Market and Jomtien Beach. Pattaya Floating Market and Dongtan Beach are also within 3 mi (5 km). 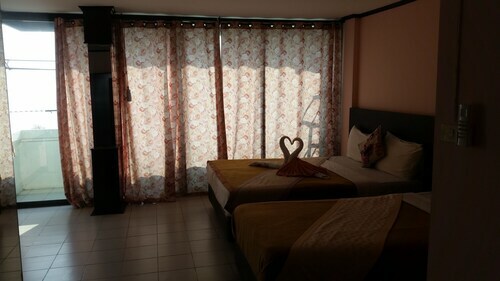 Located in Na Kluea, this guesthouse is within 1 mi (2 km) of Jomtien Night Market and Jomtien Beach. Pattaya Floating Market and Dongtan Beach are also within 3 mi (5 km).